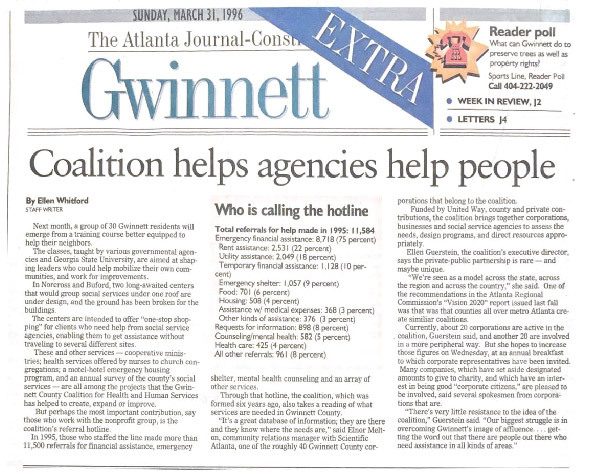 In 1989, the leaders in Gwinnett County’s private and public sectors, including representatives from state and local government and the United Way, came together to address the issue of rapid growth and related implications on service and support mechanisms. 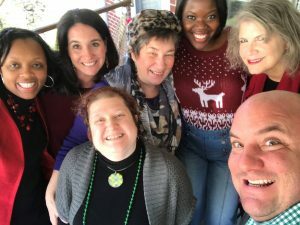 Recognizing that information concerning the County’s health and human service needs was lacking, they decided to combine public and private dollars to hire a consultant to conduct a community needs assessment. The report revealed a prevalence of decentralization and inaccessibility to services throughout the county. a prioritized focus on planning for children and families including older adults.